REIG Construction elevates Sunterra Apartments’ community culture with the $2.8 million dollar development of a custom dog park, community area, and modern apartment units.
] San Diego, CA (October 2, 2015) – REIG Construction completed its latest construction project at 3851 Sherbourne Drive, Oceanside, CA 92056. 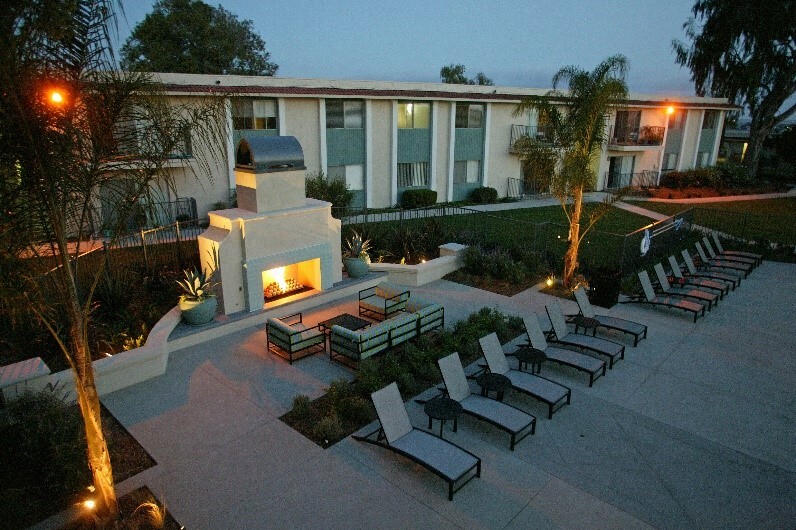 Sunterra Apartments is a charming coastal community set on a hilltop with sweeping views facing the ocean. 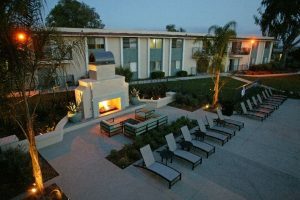 Sunterra marks the first of many projects to be completed for the California investment firm, TruAmerica Multifamily. In conjunction with FPI Management, REIG Construction embraces TruAmerica’s mission in providing high-quality and affordable rental homes to Middle America. The project’s 240 units consist of 176 two bd/two baths, and 64 two bd/one bath apartment homes. Each unit now includes vinyl wood flooring, sleek laminate countertops, new tile in the bathrooms, and energy-efficient appliances with a stainless steel finish. The project also included a complete overhaul of the recreation area and community amenities such as an outdoor courtyard with barbecues and a gazebo, outdoor fireplace, pool, fitness center, and leasing office. A new custom dog park was another progressive upgrade introduced to the community, featuring agility equipment for pets and owners to enjoy. “REIG has been terrific to work with, the hands-on approach and the integrity these guys bring has made the renovation of my Grand Plaza a very easy transition. The interior renovation has been one of the greatest successes for us. Our prospective residents and current residents are renting these units because they are very impressed with how modern everything looks,” said Sunterra Community Director, Brenda Jones. REIG Construction is committed to serving community redevelopment needs, with a keen focus on upholding the highest level of integrity and quality in their work. REIG Construction specializes in operating in multifamily complexes still occupied by tenants, where strategy and time management are the pillars of success. From wood repair to full interior unit remodels and other capital improvement projects, REIG Construction provides clients with innovative and value engineered solutions.